Established in 1994, President Thai’s mission is to offer to the community, the authenticity in Thai food, culture, and atmosphere. 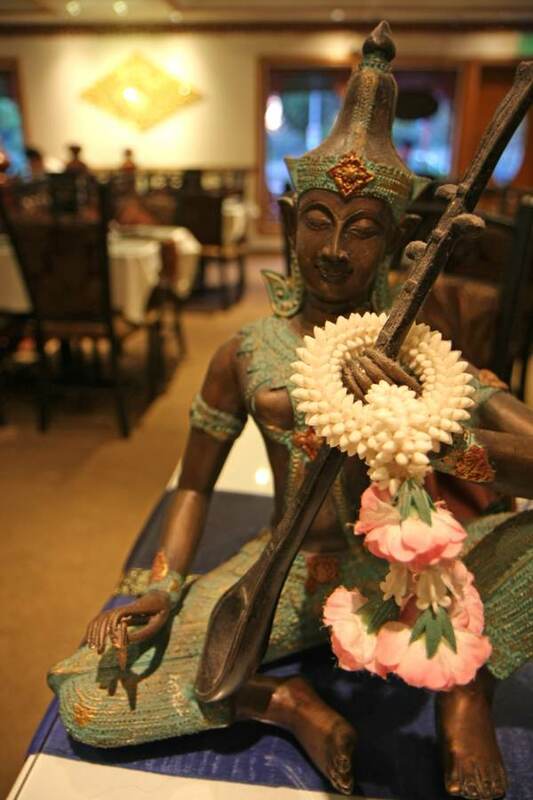 Rebuilt to become the first traditional Thai style architecture restaurant in Los Angeles with the interior finely decorated with ornate Thai art form, and soothed with traditional music. Customers will find themselves being taken back in time to experience the traditional ways of Thai’s culture. We are ready to greet you in Thai, Sawadee ka! Decorated with ornate Thai art forms, the atmosphere at President Thai sets a traditional and scrumptious precedent for the food to come. Locals swarm this place for its friendly service and authentic Thai taste. Favorite dishes include the President BBQ Beef, and mouth-watering Garlic Prawns. Order a Sweet Sticky Rice with Mango for dessert or a savory Banana Roll for a delightful end to a fantastic meal. At President Thai, we believe in providing our customer with the greatest and freshest ingredients with a warmth touch of traditional Thai hospitality. We offer a wide range of food served within our restaurant’s spacious room with the capacity of over 150 seating. Perfect for organizing family get-togethers, parties or just a night out with your significant other. 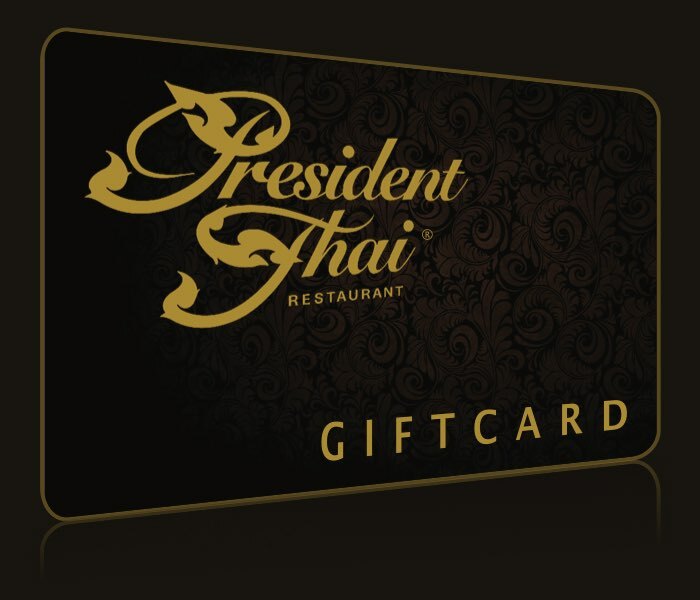 Awarded by Thai Select, President Thai is certified a degree of excellence; a fine dining experience with food authenticity. Thai Select indicates a degree of excellence. The restaurant serves fine authentic Thai food. Offer diners fine dining experience. Thai Select certification identifies Thai restaurants that offer at least 60 percent authentic Thai foods on their menus. They indicate authenticity of the Thai foods prepared. Available for a minimum purchase of $25. Gift card is valid only for making purchases at Pasadena location. It cannot be reloaded. The value of the card will not be replaced if lost, stolen, or damaged. Card is not redeemable or refundable for cash. No fees. No expiration. Purchase or use of this card constitutes acceptance of these terms and conditions.